Who wouldn’t like their home to feel like it has more space than it actually does? Because really, we all need more space with the goal being to live in a lighter and airier home that’s well organized and decorated. But how to achieve that in a small city home? With that common conundrum in mind, we’ve gathered some clever interior designer small apartment hacks to help you make the most out of any space. 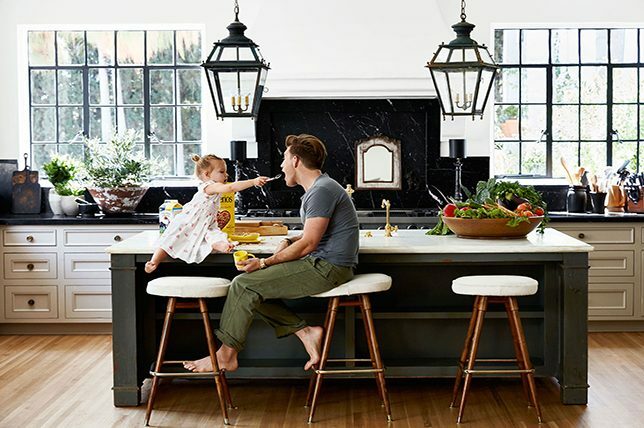 If you’re moving to a more densely populated area, you might find yourself in a much smaller home than you’re used to and on the lookout for some space-making interior design hacks. 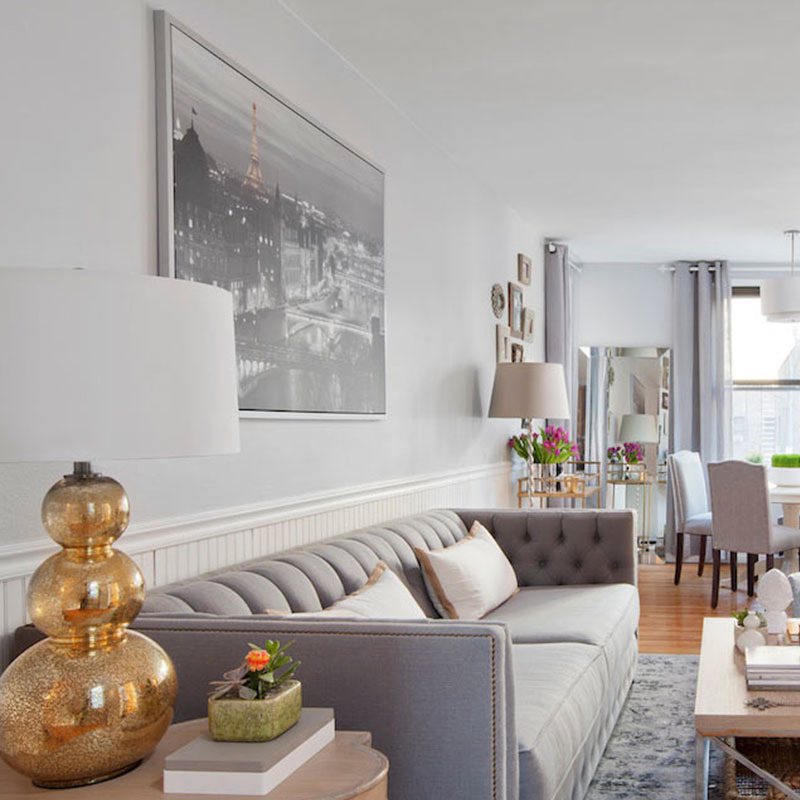 Fortunately, small apartment & home décor doesn’t mean sacrificing style – you can still have an amazingly beautiful small space, with enviable small space interior design features while making the most of the limited space you have. From small house interior design ideas to updating a petite room you’ve found challenging to decorate – we’ve got you covered with savvy tips culled from our decorators. 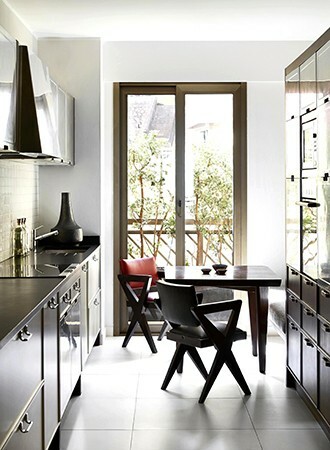 It should go without saying that when it comes to small apartment ideas, less is more. However, our interior designers are always surprised to see just how many extra elements clients think they can manage in a challenging space. That’s not to say that life be stripped down to the bare essentials, but when you are considering the best interior design ideas for a small house, concentrate on what’s important, and what makes you feel great and inspired daily – these are the pieces you should be living with. One of our decorators was quick to point out that his first apartment was a small studio with a wall of four-foot windows as a major focal point and pretty much nothing else. To make the most of his small house interior, he thought outside of the box and installed dramatic floor to ceiling sheer curtains to make the space feel instantly larger and more impressive. 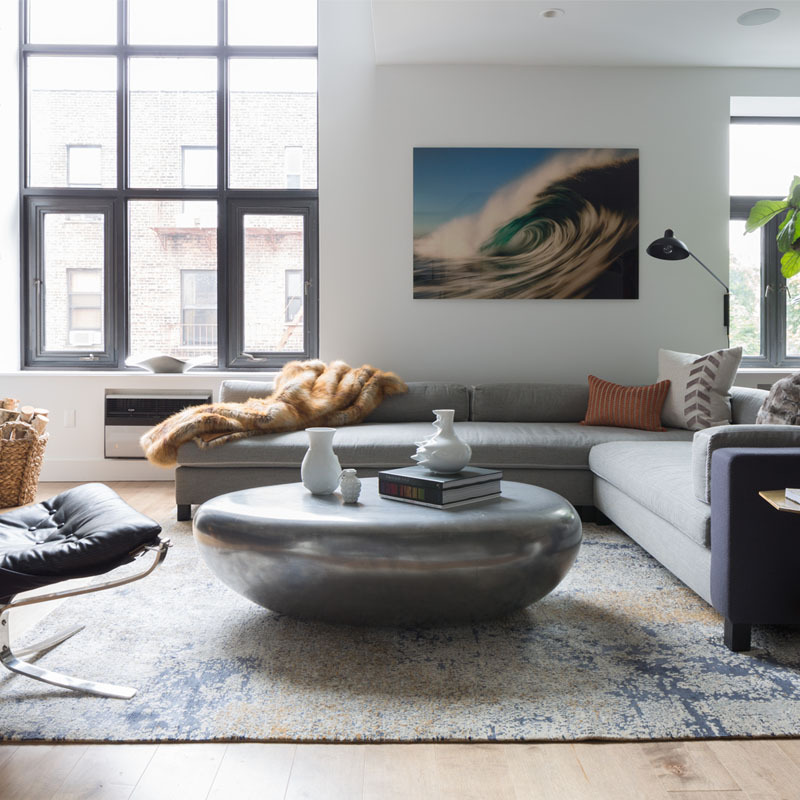 With city living heavily trending over the past two decades, there are plenty of brilliant furniture makers intuitive enough to bring your small apartment ideas into reality with beautiful furnishings designed for tiny homes. And when it comes to interior design ideas for small house, there’s plenty to chose from, just be sure to approach your project with a keen understanding of design styles so everything appears to work harmoniously together, rather than come off as random. 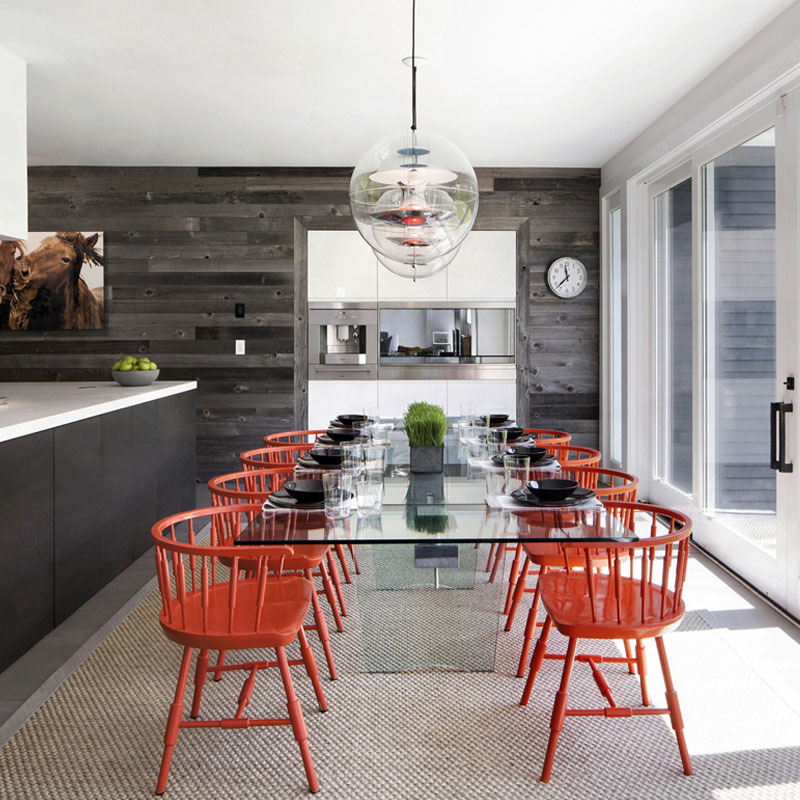 Note that while the table pedestal and chairs have a heavy look, this small corner doesn’t feel overburdened thanks to a smartly placed glass top table and ultra-white walls. 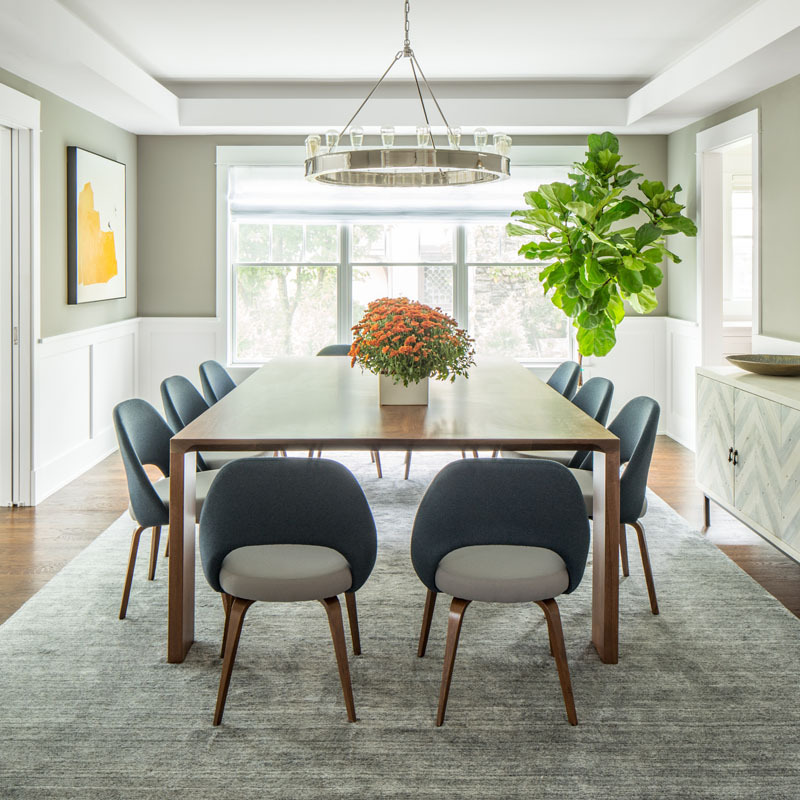 The table’s clear surface keeps the room feeling open while the white walls (a must when it comes to small house interior design), do the same thing while helping to keep the room also feeling brighter and more energizing. When it comes to small apartment ideas, the sky is literally the limit. Take a cue from the room illustrated above and go vertical to maximize use throughout every inch of your small home. When everything is organized and has a rhyme and a reason, together, they will never come off as looking heavy-handed. Perfect for any small house interior, a settee or bench is a must when looking to entertain elegantly without having to bring in a heavy, overstuffed sofa that’s width will eat up floor space and leave you with little room for anything else. Plus, they are much less expensive than a traditional sofa, are easier to move around, and are much more unique, too. Again, when it comes to serious small house interior design, every inch matters, so make the most use of your space with wall-mounted extras and lighting to free up space on tabletops while setting a mood with smartly placed lighting fixtures on your walls for added drama. 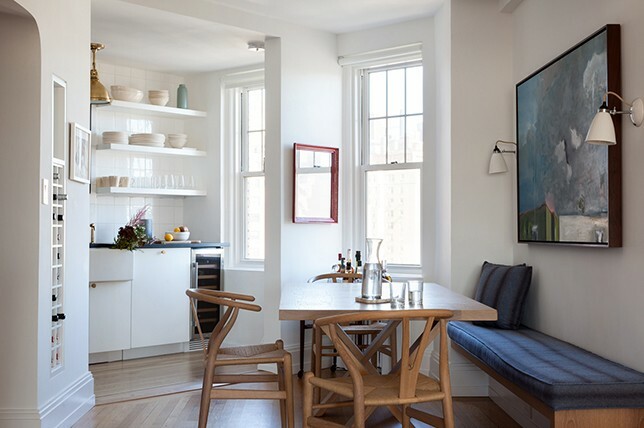 For more floor space, make the most of small apartment ideas with collapsable wall-mounted tables and desks, or tables that you can fold and easily store. This is perfect anytime you need more floor space for extra guests, games, or to keep items out of site that you do not use daily. Another genius small house interior design hack is to have built-ins lining walls that double as concealed storage areas as together they’ll take up less space while lending your home the feel of endless upgraded amenities. 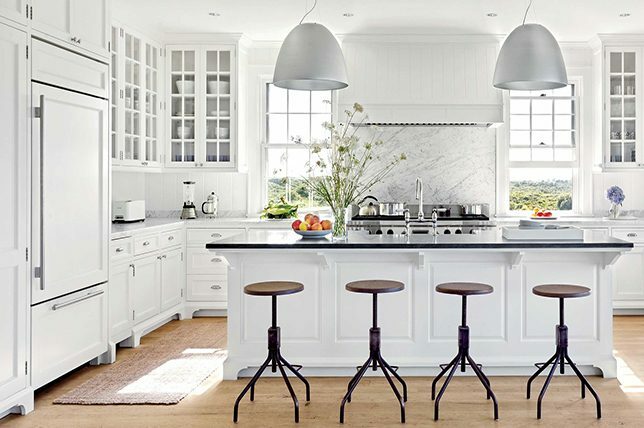 Imagine if the kitchen featured above had its table and chairs situated in the middle of the room – now, wouldn’t the room come off as much smaller, more cramped, and worst of all, badly styled? 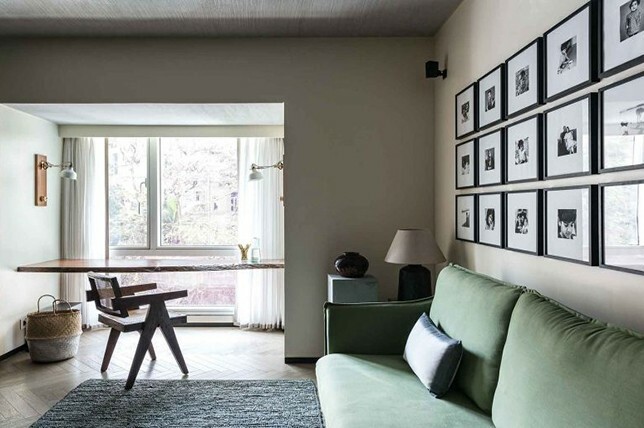 When it comes to small apartment ideas, keeping the space cozy should be a no-brainer. 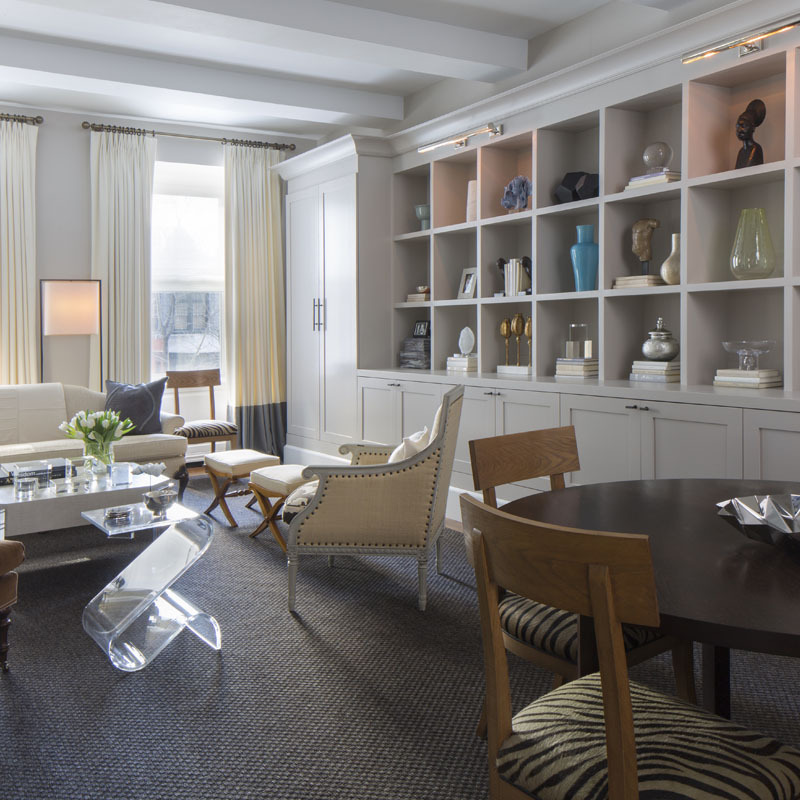 But then again, you’d be surprised at clients who think they can go for rigid and grand in a compromising space. And since you can’t make that kind of magic happen without severe compromises, be realistic with your approach and do create cozy nooks to make your space feel like an inviting home. For the best approach to interior design for small spaces, go for tonal colors or shades of the same color to create a calming, soothing oasis – no matter the size. That said, we suggest bright, optical white as it can make any room feel bigger, brighter, and bolder. However, smaller spaces tend to appear dirtier faster, so be sure that high traffic areas are well-judged as a smaller home will highlight inevitable daily wear and tear. We tend to consider flooring the ultimate interior design foundation and suggest starting with flooring when considering small house interior design concepts to make the most of your space. Go for a two-tone or neutral rug and go large to make the room appear more expansive and expensive. Stick with a larger rug as a petite one can help to make the room appear smaller than it really is. While we recommend glass-topped tables since they take up less visual space, two petite nesting tables instead of one large coffee table can make for clever small apartment ideas as they’ll be easy to move when you need more floor space. And since they shouldn’t break the bank, you can easily switch them out when you tire of their style to quickly refresh a room with ease. One of the most fundamental small house interior design lessons to be learned is that scale applies to every single décor item you bring in. From lamps to side tables, everything should work in sync with each other. 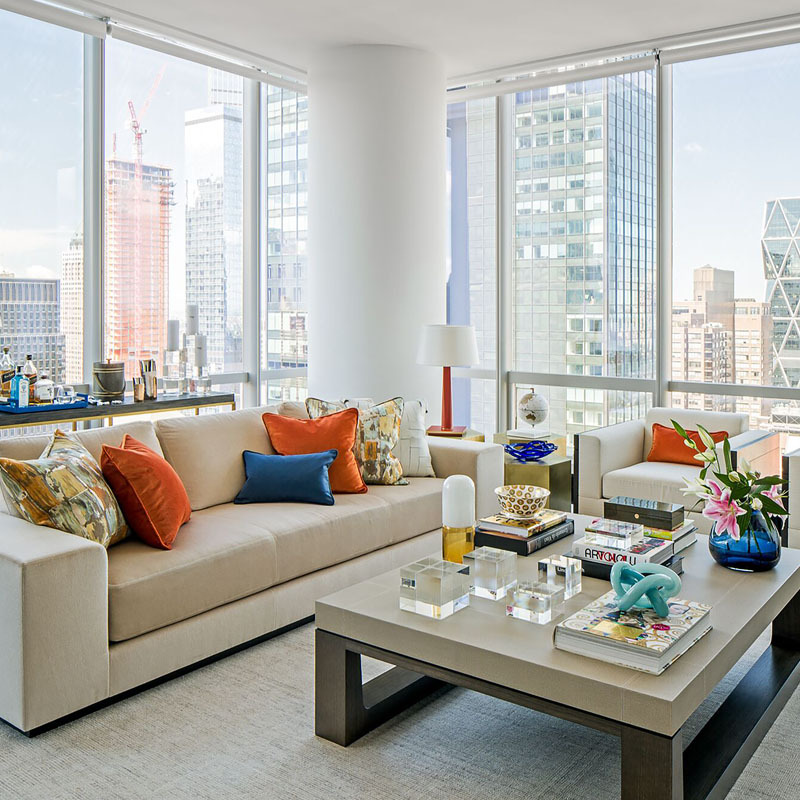 That said, for extra visual interest, incorporate one to two larger furnishings in each room to create richly layered interior design for small spaces that keeps the eye moving rather than stuck in one corner. One of the easiest small apartment ideas to manage is to keep all furnishings drifting towards the middle of a room rather than against walls as the space will come off as cramped and uncomfortable for no good reason. Buy low lying furnishings where all seating hits at the same eye level for visual continuity, to keep parlor style conversations flowing, and to make your ceiling appear taller so each room comes off as much grander than they really are. Making good use of the storage space you’ve got is of course, essential. Space is at a premium in the kitchen area (ask any interior designer); there are loads of interior design hacks for kitchen cupboards out there, which help to make the best use of the space you have. Easy to replicate, consider hanging cups and utensils on the walls and create as much functional shelving throughout as possible. Think storage compartments which slide out from built-in cabinets, desks which fold up into a storage unit, Murphy beds that drop down from the wall and tables and chairs that serve dual purposes. 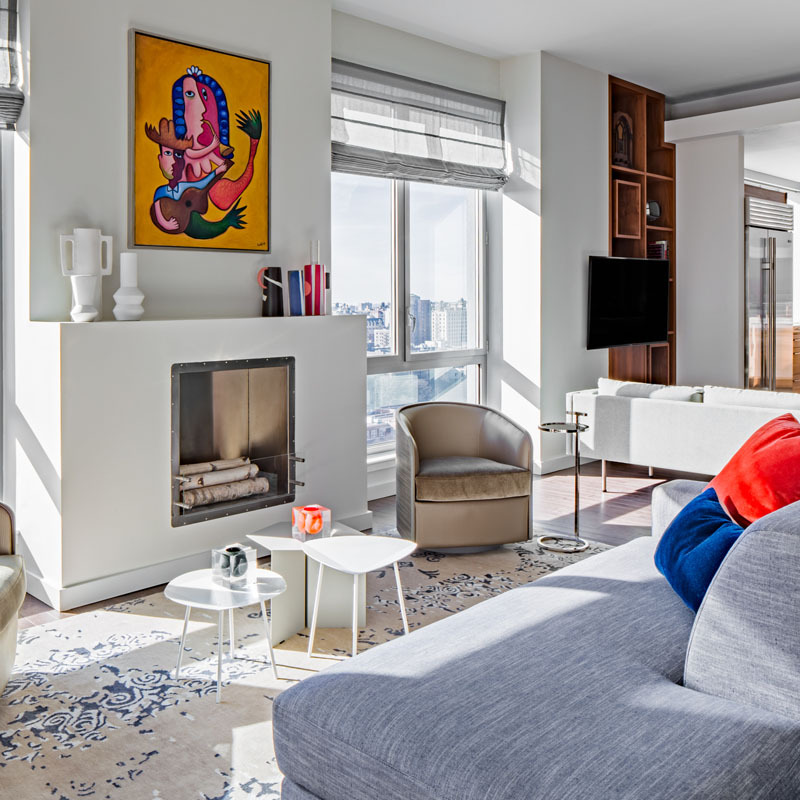 The possibilities are endless when it comes to small space interior design; you simply need to carefully plan accordingly and keep your mind open to what can be done within the small space. Can your dining table double as your workstation? Can your drawers be converted for other purposes – say open and covered for extra table space? Can your coffee table work as a footrest? Can you utilize the dead space under your stairs for additional storage or decorative space? Small space interior design is all about creating as much multi-purpose furnishings throughout the space as possible; in turn, you’ll create a ton of extra room in your home. Making sure no space is gone to waste will continue to give you wins when you’re trying your hand at small space interior design. Having a chest of drawers instead of a bedside table is a great space saver as well as a great look, as is a laundry basket topped with a usable surface – small apartment ideas for space saving at their best. 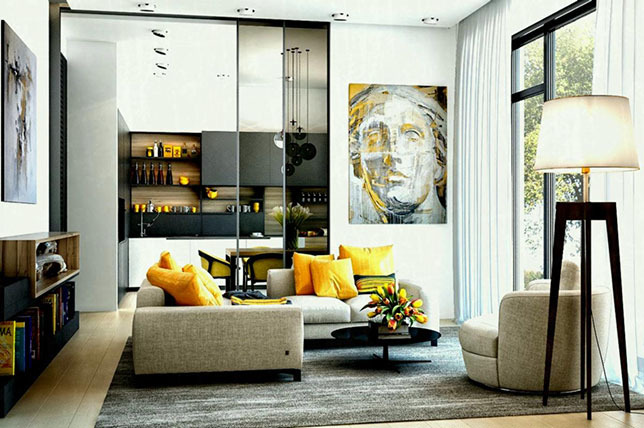 There are loads of small apartment decorating ideas you can use to your advantage to make your home look and feel bigger. 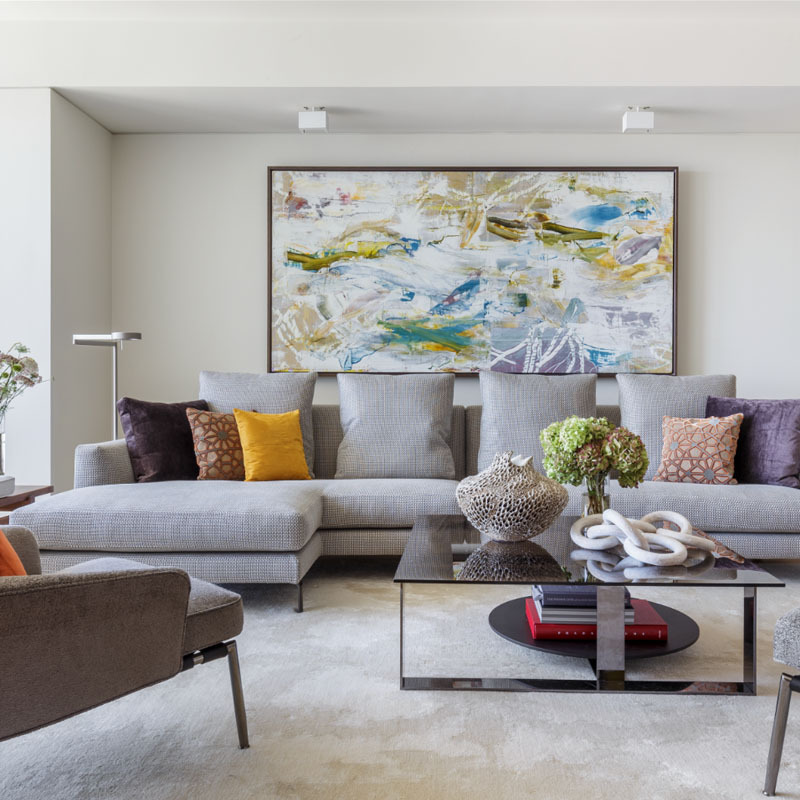 Draw the eye upwards by placing art higher up on the walls, which will work to create the illusion of a larger space (people may just take you as an interior designer with this trick). Consider trying to keep your space as open as possible – leave doors open to make it appear as if the entire space flows together. If you have floor standing furniture, look for furnishings with legs or add them on your own, rather than keeping everything sitting directly on the floor. This allows you to see the floor space beneath your furnishings and make the room seem a lot bigger. 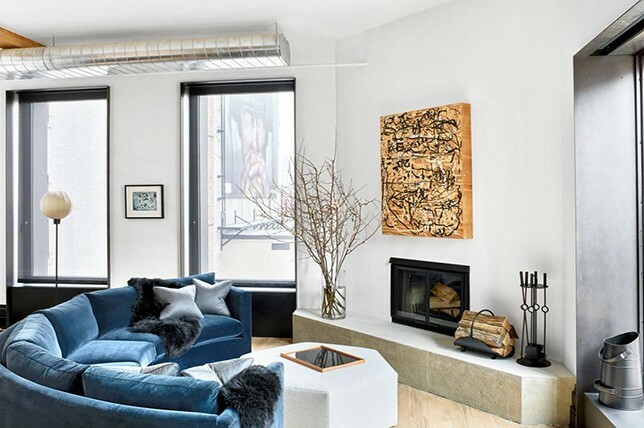 Often, you’ll find that the best small apartment decorating ideas won’t break the bank while making the best use of each space throughout your home. 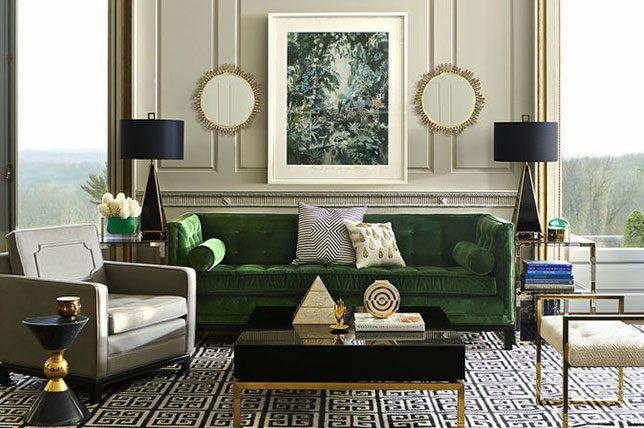 Mirrors are an age-old styling trick for making your home feel more spacious, and they never fail to work. Use mirrors to reflect light and trick the eye into thinking the space is bigger than it is. Mirrors situated adjacent to windows reflect the outdoors and are certain to make it seem as if you have another window in your room, and the more windows you have, the bigger your home will appear. Affordable with a hint of glamor, mirrors are a must for any small house interior design ideas. Bad lighting can make an already small space look even smaller. Having dingy and dark corners will cut off that part of the room, shrinking the visible area. Make sure your rooms are all well-lit; having concealed lighting fixtures on the top of furnishings and both on top and under cabinets is a great way of eliminating dark spaces. As you might not have enough surface space for table and standing lamps, get as much light as you can from ceiling and wall sconces (another tip to add to your small apartment decorating ideas list). 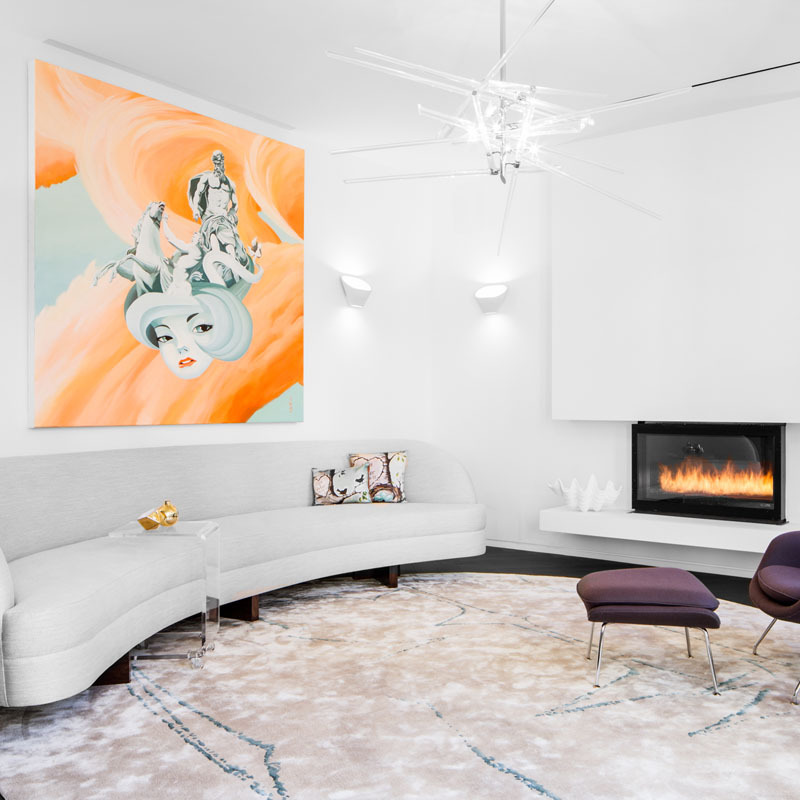 When it comes to the best, smart interior designer hacks for small space interior design, keep in mind that often, it just takes a little structural adjusting to trick the eye into making your home appear larger. If you are short on space, you might be surprised how handy your ceiling could be; it’s one space for some of the best interior design hacks out there. 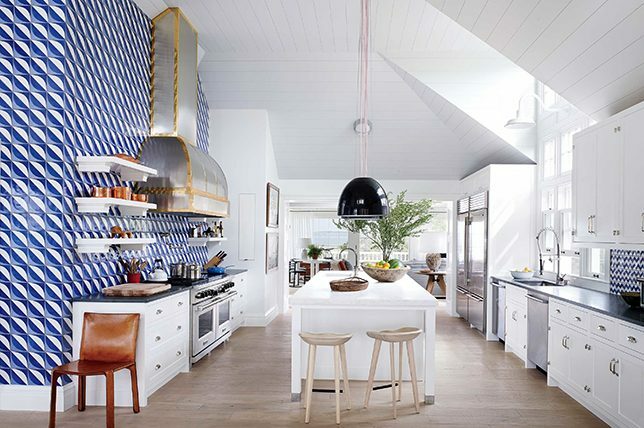 There are loads of genius ways to make extra use of ceiling space, like introducing hanging storage elements where you can store pots and pans in your kitchen. Making the best use of your vertical space will also give you much more room to maneuver around your home. Look at placing things such as beds on platforms to create extra storage space underneath, or consider creating shelving above and around door frames – no one will doubt your interior designer capabilities when they see such smart small space solutions. As any interior designer should suggest, put items you don’t often use in the highest areas and more frequently uses items in the lower areas. The way you introduce color in your rooms has a huge impact when you’re coming up with small apartment decorating ideas. Dark colors can close off areas but when incorporated carefully, they can make areas appear wider than they are. Using light colors can make areas appear larger and more expansive, but you need to be careful and ensure the space doesn’t end up looking too clinical while remembering that smaller spaces often have dirtier looking walls as things rub against them more commonly. Large areas of pattern, such as walls with heavily patterned wallpaper, are certain to make rooms look smaller. Stick to walls painted in the same color and keep the same flooring throughout to create the illusion of more space to nail simple interior design for a small house. Any interior designer will tell you that starting with walls and flooring is the best route for small space interior design. If you are on a tight budget, don’t fret as there are loads of small apartment decorating ideas on a budget for you to implement. To get the most for you buck, browse through local thrift shops for bargains and search for free furnishings listed online with items people no longer want or need. Don’t shy away from up-cycling and repurposing – these finds can make your home feel one-of-a-kind. Just ask any interior designer and we sure they’ll swear by the merits of money-saving antique markets and even junk shops for scoring unique goods.